A comprehensive resource guide for parents and professionals in the autism community. It presents facts, research information, and effective treatment options. 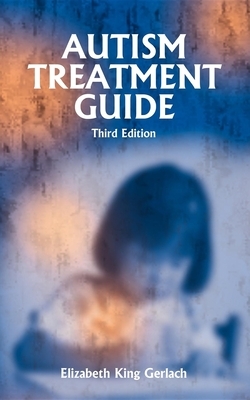 It shows the diagnostic process, intervention techniques, therapies, biomedical treatments, and diets. Winner of the Outstanding Parent Achievement Award from the Autism Society of America, Elizabeth King Gerlach is the mother of two boys, one of whom has autism. She and her family reside in Oregon. “When Elizabeth Gerlach first told me about this project, I was thrilled that someone, finally, was going to organize an incredible amount of information into a well-balanced, clear and concise book. She was able to accomplish this task, and as a result, the Autism Treatment Guide has become one of the best-selling books in the field of autism.